4 Equal Treatment 4,- Foil! 5 Floating Shield 2,- Foil! 6 Frantic Purification 2,- Foil! 9 Militant Monk 2,- Foil! 11 Mystic Familiar 2,- Foil! 12 Pay No Heed 2,- Foil! 15 Spirit Flare 2,- Foil! 16 Stern Judge 4,- Foil! 17 Strength of Isolation 3,- Foil! 19 Teroh's Vanguard 3,- Foil! 21 Vengeful Dreams 9,- Ikke på lager! 25 Balshan Collaborator 3,- Foil! 27 Cephalid Aristocrat 2,- Foil! 30 Cephalid Snitch 2,- Foil! 32 Churning Eddy 2,- Foil! 38 Ghostly Wings 2,- Foil! 39 Hydromorph Guardian 2,- Foil! 40 Hydromorph Gull 3,- Foil! 47 Skywing Aven 2,- Foil! 48 Stupefying Touch 4,- Foil! 52 Cabal Surgeon 2,- Foil! 53 Cabal Torturer 2,- Foil! 54 Carrion Rats 2,- Foil! 55 Carrion Wurm 3,- Foil! 57 Chainer, Dementia Master 12,- Ikke på lager! 58 Crippling Fatigue 2,- Foil! 71 Mortal Combat 9,- Ikke på lager! 73 Mutilate 19,- Ikke på lager! 75 Organ Grinder 2,- Foil! 76 Psychotic Haze 2,- Foil! 79 Restless Dreams 2,- Foil! 80 Sengir Vampire 9,- Foil! 81 Shade's Form 2,- Foil! 84 Slithery Stalker 3,- Foil! 85 Soul Scourge 2,- Foil! 88 Waste Away 2,- Foil! 91 Balthor the Stout 9,- Foil! 92 Barbarian Outcast 2,- Foil! 93 Crackling Club 2,- Foil! 96 Enslaved Dwarf 2,- Foil! 99 Flash of Defiance 2,- Foil! 100 Grim Lavamancer 75,- Ikke på lager! 102 Kamahl's Sledge 2,- Foil! 103 Longhorn Firebeast 2,- Foil! 106 Pardic Collaborator 3,- Foil! 107 Pardic Lancer 2,- Foil! 110 Pitchstone Wall 3,- Foil! 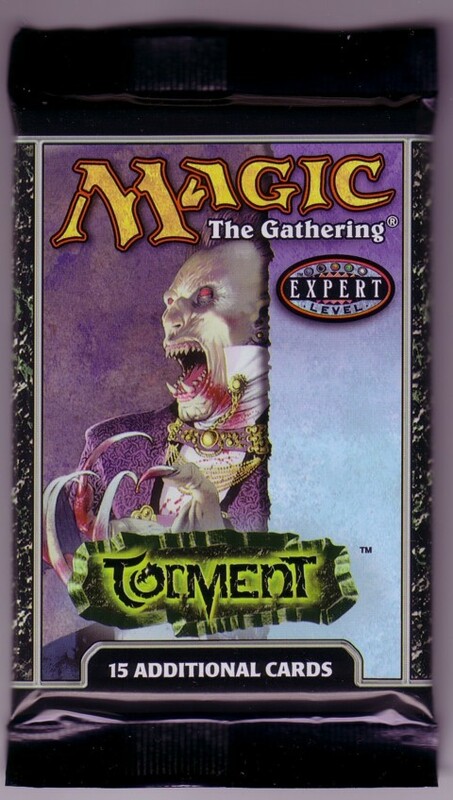 116 Temporary Insanity 4,- Foil! 119 Anurid Scavenger 3,- Foil! 128 Invigorating Falls 2,- Foil! 129 Krosan Constrictor 2,- Foil! 131 Nantuko Blightcutter 9,- Foil! 132 Nantuko Calmer 2,- Foil! 133 Nantuko Cultivator 9,- Foil! 137 Possessed Centaur 9,- Foil! 138 Seton's Scout 4,- Foil! 139 Cabal Coffers 172,- Ikke på lager!